A car accident victim who sustains a broken leg may have to undergo prolonged treatment, physical therapy, and rehabilitation. Many leg fractures occur in frontal collisions when the person is not wearing a seat belt and the legs are violently thrown against the dashboard. Lower leg fractures are common in motorcycle accidents as well. A person who has suffered from a fractured leg caused by a car accident may need to consult with a St. Louis car accident attorney. The lower leg has two long bones, the tibia, and the fibula. The tibia is a relatively short bone and performs the load carrying work, while the fibula is long and thin and attaches the knee and ankle to the tibia. It is often difficult to fracture the longer bone without fracturing the smaller one. However, the reverse is not true. Peroneal nerve injury that can cause foot drop. Pressure syndrome can severely restrict oxygen supply to nerves and muscles below the fracture and can cause gangrene, which may lead to amputation and even death. Infections from open wounds can be resistant to treatment. Fat in soft tissues can enter the bloodstream and cause occlusion of vessels. Casts applied to treat the fracture can restrict circulation and can make the effects of compartment syndrome even worse. The femur (thigh bone) is the strongest and longest bone in the body. It extends all the way from the hip to the knee joint and can be broken only with tremendous force. A broken femur bone injury can have devastating consequences. Research has shown that 24 percent of people who suffer a femur fracture die within a year of injury. Only a small percentage of people are able to recover completely. A car accident victim who sustains a broken femur may have to undergo prolonged treatment, physical therapy, and rehabilitation. Car accidents are a common cause of femur fractures. Femoral shaft breaks: Femoral shaft breaks are a debilitating injury, often caused by a high-speed car accident or a long distance fall. This kind of fracture requires surgical treatment; a metal rod is placed in the center of the thigh bone to reconnect the broken ends. The rods are fastened with screws and it stays in the thigh for the lifetime. Supracondylar femur breaks: A relatively uncommon type of fracture, supracondylar femur breaks involve a break right above the knee joint. The knee cartilage becomes damaged and both the fracture and the cartilage have to be treated. People who suffer supracondylar femur breaks become susceptible to arthritis of the knee. Treatment of such fractures may require a brace, cast, plates, screws, intramedullary rod, or an external fixator. Proximal femur breaks: Also known as a hip fracture, proximal femur breaks involve a large part of the thigh bone near the hip joint. A broken hip injury is a type of proximal femur break, which involves a fracture to the hip bone. Another type of proximal femur break is the femoral neck break, in which the ball of the ball-and-socket hip joint is disconnected from the femur and disrupts the blood supply to the bone. It is an extremely severe injury and the patient may require a partial or full hip replacement. Less severe breaks may require hip hemiarthroplasty or hip pinning. An intertrochanteric femur fracture is another type of proximal femur break involving fractures that occur lower than the femoral neck fracture. It is important that the tibia heals in a good position so that it will be able to bear weight normally. In many cases, surgery may be required to attach the broken pieces of bone in place. Surgery involves placing pins, plates, and screws into the bones to attach the pieces in place. Traction equipment may also be used to hold the alignment in place. The treatment often requires the patient to be confined to bed for a prolonged period. This long period of immobility can cause other major problems as well. Even if the surgery goes well, the recovery can be long and difficult. The whole recovery process can be both physically and emotionally taxing for the patient. The patient may have to miss work for a long period and may not be able to perform physically straining activities for a long time. Any delay in treatment can cause irreversible damage and permanent disability. 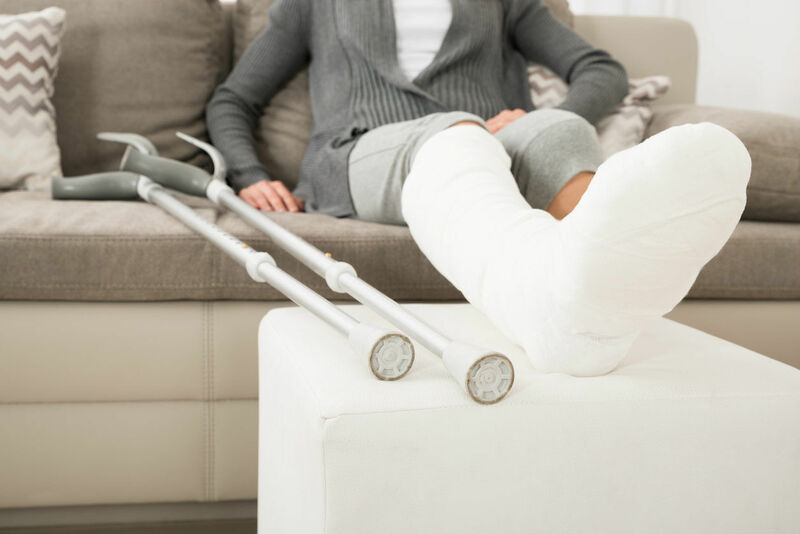 If you have suffered a lower leg fracture as a result of a car accident caused by another person’s negligence, immediately consult a St. Louis car accident lawyer. Call The Hoffmann Law Firm, L.L.C. at (314) 361-4242. We will help you recover compensation for wage loss and medical expenses, including those related to any surgeries required.